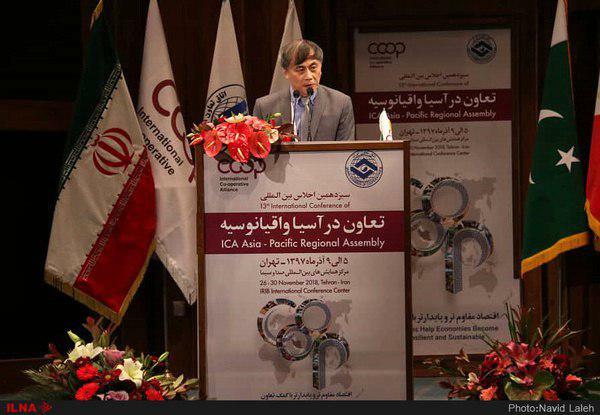 The chairman of the Asia-Pacific region of International Co-operative Alliance (ICA) says the alliance is seeking to stand by Iran amid the unilateral sanctions imposed on the county and do whatever in its power to facilitate Iran’s trade ties with the outside world. “At present, we are exploring ways to expand mutual trade, commercial and agricultural relations with Iran,” Li Chunsheng said in an interview with ILNA. “We will withhold no efforts to help Iran keep its trade ties with the outside world amid the sanctions,” he vowed. Back in November, the US re-imposed the “toughest” sanctions ever against Iran with the goal of curtailing the Islamic Republic’s oil exports and putting extra pressure on the country’s economy. “If Iran keeps moving ahead with the same strength, it can also play a leading role in the expansion of cooperation between ICA members and other states in the world,” he added.